I want one account at 888.com not one for each product they offer! 888 (this used to be linked 888.com but 888 asked me to remove the link) is a big player in the igaming industry and when you visit 888 (this used to be linked 888.com but 888 asked me to remove the link) you get the feeling that it is a gaming portal offering casino, poker, sportsbook and more. 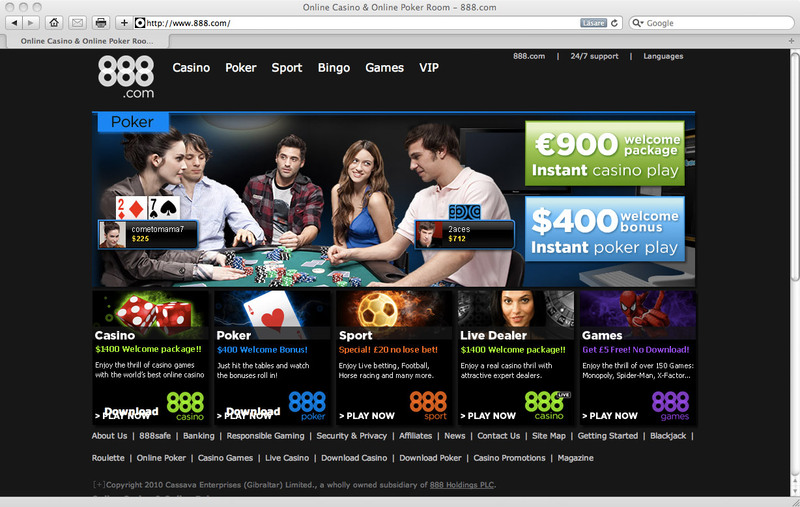 Earlier last week after playing casino at 888 (this used to be linked 888.com but 888 asked me to remove the link) I wanted to try out their poker. But I was really surprised to find out that I had to log in again when I started the instant poker. I was even more surprised when my account details (from my casino registration) didn’t work. I tried to log in a couple of times and then I sent an email to the 888 support asking why my account details didn’t work when I tried to login to play poker. What a surprise I got when I received the answer from the support. They told me I had to have a new account for playing poker and if I wanted to play sports then I needed an account there as well. This is really bad player experience! I just want to have one account when I play on 888.com! The solution at 888 (this used to be linked 888.com but 888 asked me to remove the link) is probably because of technical reasons, but it will scare away players and make it hard for them to move around and play different products. So my advice to 888 (this used to be linked 888.com but 888 asked me to remove the link) is to have a one-account solution (at least the player needs to feel like it is) where the player can move around and play everything without having to log in every time.